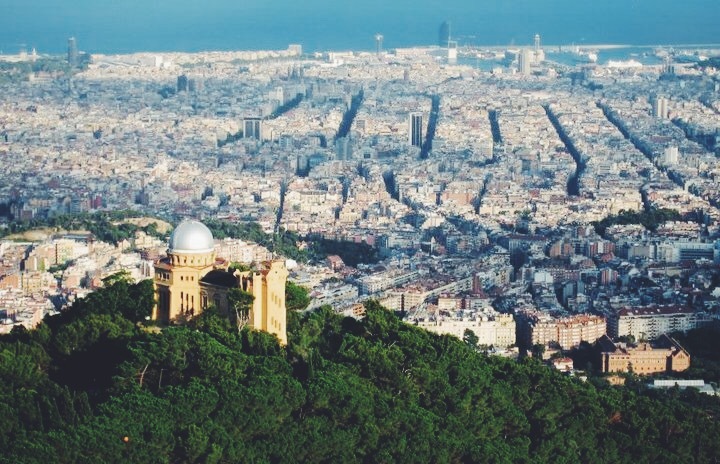 It is very difficult to me to just tell you a little bit about Barcelona, because there's so much to say! So today I'm just gonna give you an introduction of what I like the most about my home town. 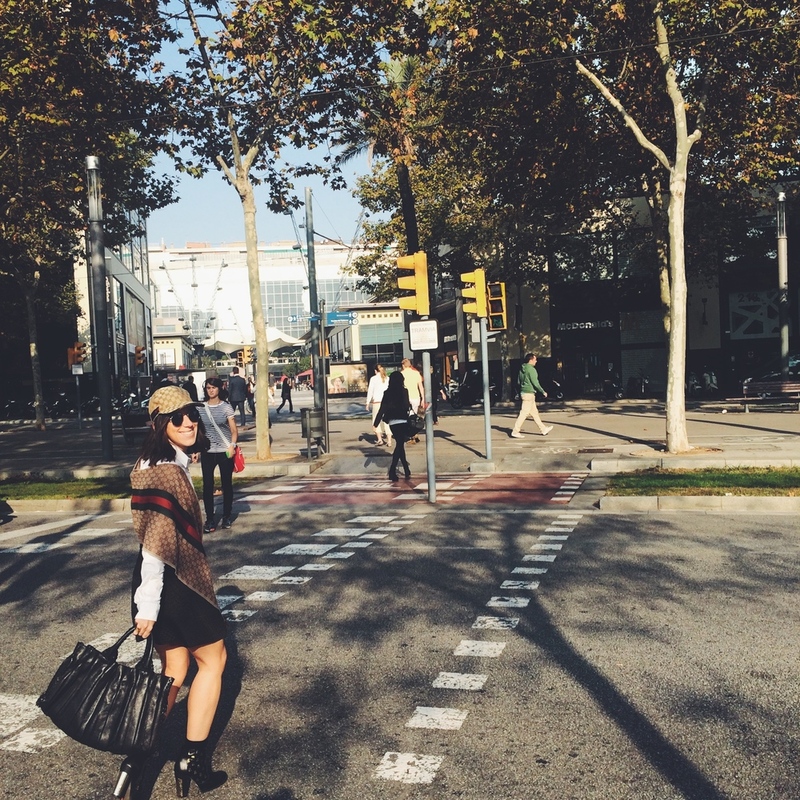 (1) My Top 3 Neighborhoods are definitely Gràcia, Gòtic and Born. I know it's cliché but they are the essence of the City! Gràcia is a little village within the big city. It is a vibrant neighbourhood with lots of things to explore. A very cultural spot (my fav theatres and old school cinemas are there) with lots of different cuisines for you to try. But it is mainly the environment that I like the most, the friendliness and easiness of the people, the little shops and the upcoming designers what makes this place...special. And then far down town, next to the sea, you have Gòtic and Born. I know they are the tourist favourites, but who doesn't like a bit of the Old City? Gòtic is the ancient part of Barcelona, where all the roman remainings are and where the stunning Cathedral where I was baptised is. It is stunning, indeed. If you have a chance I highly recommend you to go inside the gardens of the Cathedral, and try going to the rooftop. You'll have an amazing view of the city. From Gòtic you can move towards Born. And Born is just a petite like me, reason why I like it. The neighbourhood is pretty much walk-in only (no cars allowed), which to me is a plus. It is full of charming little restaurants with incredible tapas and drinks. And every single street is different on its own. And very little. As a said, so charming. (2) Culture offer you said? Do not worry, we've got it covered! Or Shall I mention Gaudí? 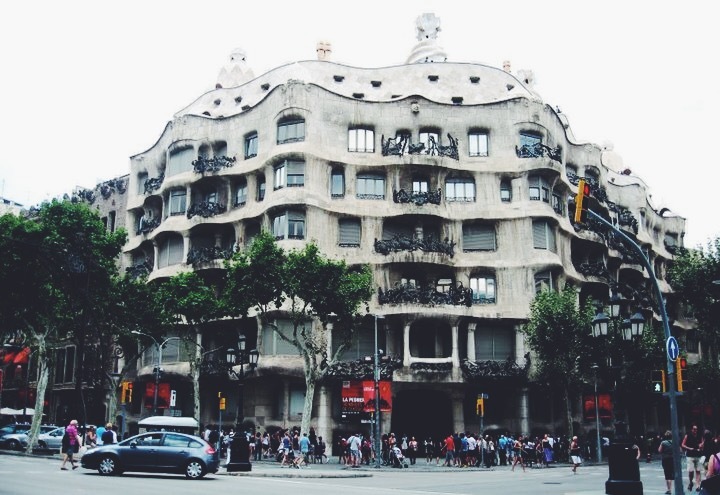 La Pedrera, Park Güell, Sagrada Família...And if that is not enough, we've also got Mies Van der Rohe, Miró, and my all time favourite museums: MACBA for contemporary art and MNAC for the best romanesque and gothic art collections. (3) The Classical Music: I've always liked classical music, what can I say. Maybe it is the fact that I've studied for so long at the Conservatoire (14 years!) but going to a concert at the Liceu or at the Palau de la Música is certainly an experience you don't want to miss. (4) The nights out are great. But where to go depends on my mood. For alternative nights: Apolo or Razzmatazz. For fancy times: Sutton. For touristy times: Opium. I must admit I rarely go out downtown, places are a rip-off, underground and extra small. So not very pleasant! However, I do love going out for drinks in the city centre. Although sometimes pricey, there are really cool spots like the terrace of Hotel Do. I've never ever tried a better sangria of cava in my life. One summer I did a rooftop tour with the girls and visited pretty much all the hotel rooftops in the city while sipping cocktails at every single location. My top 3 spots resulting from it are: 1) Hotel Condes de Barcelona (still nowadays my favourite pick), which offers you a nice view of Sagrada Familia and the main street of shopping, Passeig de Gràcia, 2) Hotel 1898 in Ramblas and 3) Ohla Hotel in Born. 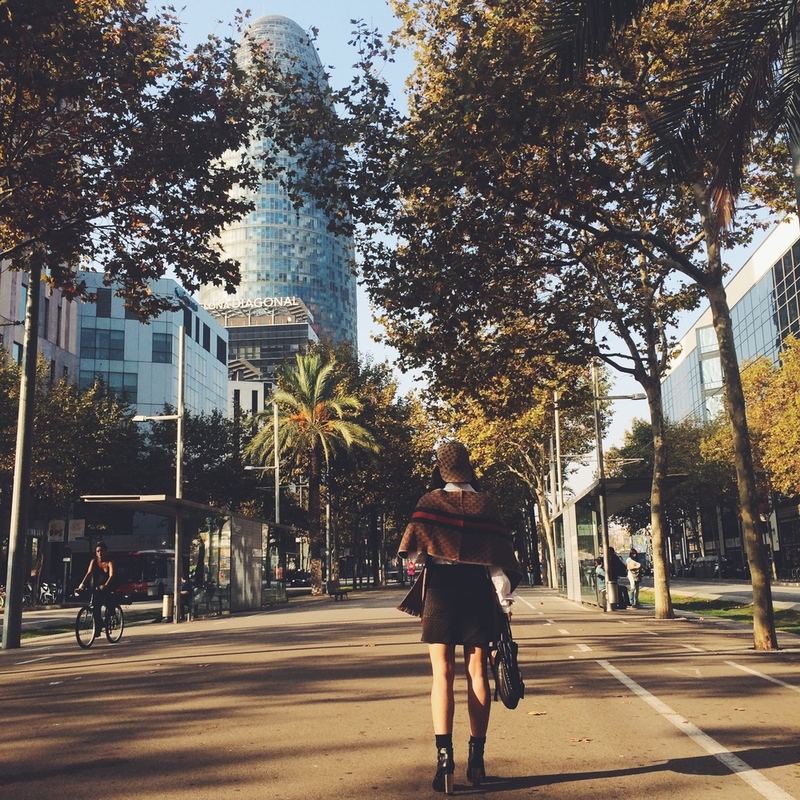 (5)As for shopping, I'd personally head to Born if I'm looking for new and upcoming designers, and to Passeig de Gràcia for Luxury Brands and High Street Clothing. If Vintage clothing and thrift stores is what I am looking for, then I would hang around Carrer Tallers. My fav stop there is Oh La La! store. What a gem! (5) My favourite cinemas are those who play films in their original language. So for that purpose I would head to either Verdi (in Gràcia), Floridablanca or Icària. (6) Foodie Monster: Oh dear, I think I will need another post to start with this. But I just would like to point out that spanish food is the best. And I don't care what people say. Not to remind you that Quality-Price could not be better. On top of my head here are my top 5 tapas restaurant/bars you should be aware of: Bar del Pla,Ciudad Condal, Cerveseria Catalana, Samsara, Tapas 24. But we will get back to this, do not worry! And (10) My friends, that's for sure. Wearing Miista Alayna Gold Bees Boots (available here), Lupo Pleated Bag (available in mini here), Gucci Scarf and Baseball Cap (available here and here), Maria Pascual Jewellery and Zara Skirt and Blouse (old).